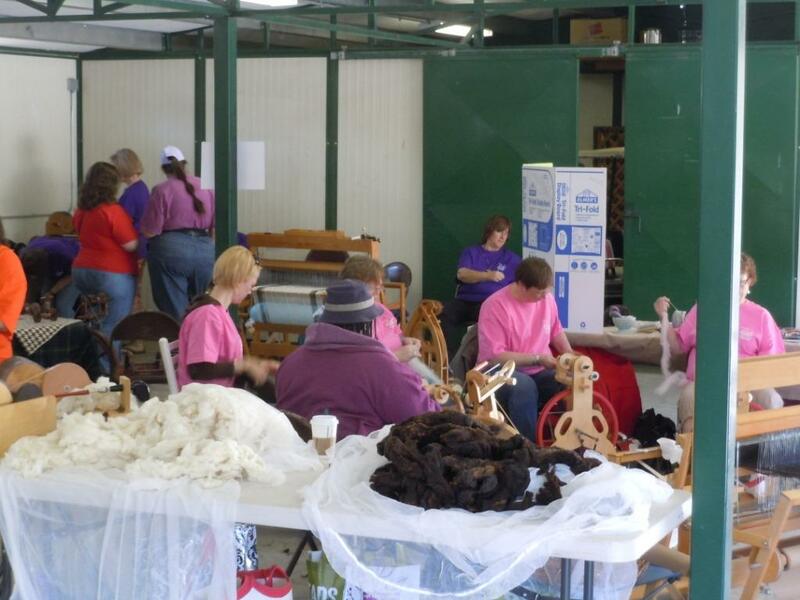 One of our favorite events at the Estes Park wool market was the “Sheep to shawl” contest. Teams work together to card, spin and weave a shawl in one day. 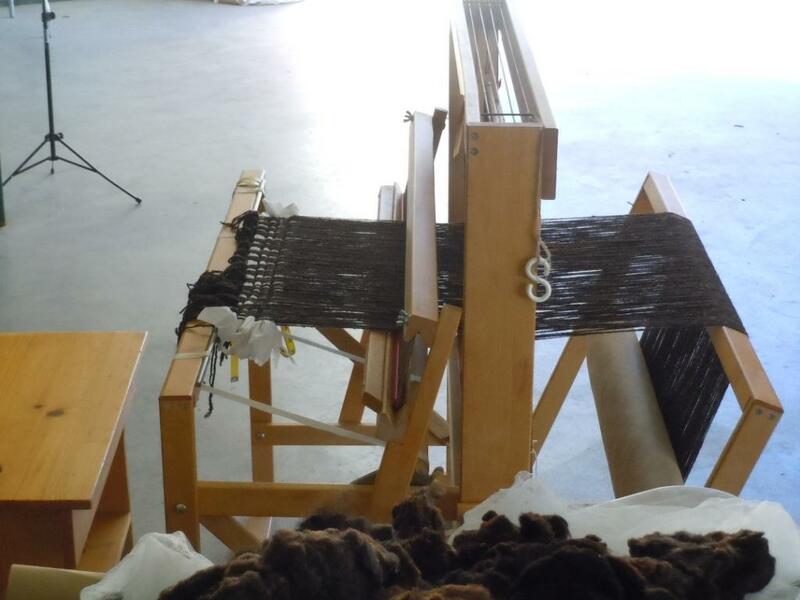 Although at some shows they actually start with the sheep (shearing it in the morning), the competition on Sunday allowed teams to pre-wash their fleece and prepare the loom beforehand. It looked like a ton of fun. I’ve never thought of any of the fiber arts as team sports, though it’s certainly true that it’s much more fun to spin in groups than it is by yourself. The teams had great names like “Shear Panic” and “Twill Seekers”, and were graded not only their work but also on their friendliness and knowledge. We stopped by several times throughout the day to watch the shawls take shape. After starting at 8:30, many teams were already weaving by 11! 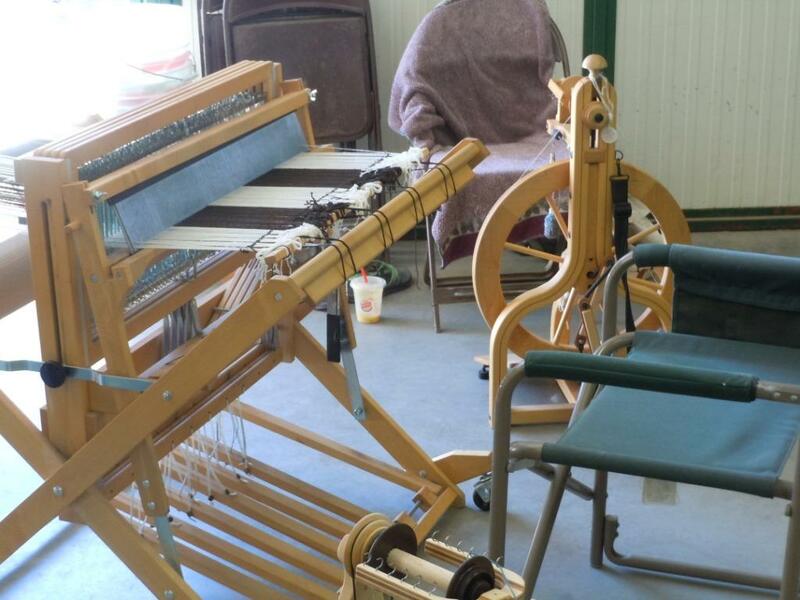 This entry was posted in fiber art and tagged handspinning, looms, shawls, sheep, sheep to shawl, spinning wheels, weaving. Bookmark the permalink. …and I hope you have pictures of the finished shawls? I’d love to see some of them. I’ve heard of that sort of thing happening in England. Sounds like fun, but a little stressful.